Seed is a cheap way to produce large numbers of new shrubs or trees when starting a new garden. It is also fun to try growing trees from seed, although patience is required as it takes many years to grow a large tree. Sowing small tree seed. Credit: Tim Sandall/RHS The Garden. These techniques apply to all hardy trees and shrubs that have successfully set seed. Bear in mind that named cultivars do not come true from seed, but species plants usually do. While many tree and shrub seeds can be sown in spring, after storage over the winter, others must be sown fresh in the autumn. Many tree seeds, in particular, become difficult to germinate if not fresh. Sowing in autumn allows the natural winter chilling effect to help break seed dormancy. If seed is bought in spring, or cannot be sown fresh in autumn, there are techniques (described below) that help the gardener to artificially break seed dormancy. When large enough to handle, transplant/prick out each seedling in its own pot of multi-purpose compost. Seedlings in shallow seed trays need transplanting promptly; handle them carefully by holding the seed leaves, rather than the emerging true adult leaves. Seedlings in modules can be left a little longer before transplanting, allowing their roots to fill the module, and then transplanting the whole plug of roots and compost in one go. Tree seeds often do better in deep modular trays such as ‘rootrainers’. Water regularly, as needed, and feed with liquid fertiliser every month, growing the seedlings on into small plants. 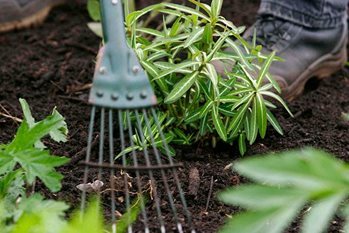 The following spring or summer, when the plants are more robust, start to introduce them to outdoor conditions, a process known as hardening off. Plant them out into the garden in the autumn, giving them the winter to settle their roots into the soil before coming into active growth the following spring. In nature, many tree and shrub seeds have a natural dormancy to help them survive. This dormancy allows seeds to survive hostile conditions and only germinate in favourable conditions, such as the warmth of spring, or after a rainy season. As gardeners, we can supply seeds with favourable conditions all year round, so sometimes we need to artificially break dormancy for seed to germinate. Seeds with hard seed coats need to have their seed coats scraped, cut or soaked to allow in moisture before sowing. Use sandpaper or a file to scarify (abrade) the seed coat. Chit the seed either by using a knife to nick the seed coat or by soaking the seed in warm water for 24 hours. Care should be taken when soaking seed, as too much can cause rotting. Examples of seed benefitting from these treatments are plants from the pea family, such as Colutea, Cytisus, Genista, Spartium, Lespedeza, Lupinus and Robinia. This is used for seeds which respond to either heat or cold. Stratifying will break dormancy by copying the conditions these seeds are naturally subjected to in the ground to trigger germination. Most commonly this is a spell of cold similar to that experienced in the winter. A few seeds have multiple dormancy and only germinate in their second spring after periods of both cold and warmth. Fraxinus (ash) is a typical example. Subjecting seed to a warm spell followed by cold can increase germination in the first spring after sowing. This is achieved using the techniques of warm and cold moist stratification. Damping off (rotting) of seedlings can be a problem, especially for the novice gardener or where the seeds have been too wet. If tree and shrub seeds fail to germinate in their first season, then it is worth leaving them for another season to see if they perform, as germination can often be erratic and slow, especially for seeds where dormancy is a problem. Some tree seeds develop growth inhibitors once they have ripened, for example Acer campestre (field maple). Avoid this by harvesting 'green' seed (i.e. mature seen but before it has fully ripened prior to dispersal). Sow immediately, or sow stored seed in spring as normal.